Together, as God’s family we are learning through love, forgiveness, respect and courage to use our unique gifts, challenging and transforming our world. Our vision is to create an outstanding Catholic school under pinned by Gospel values where everyone feels valued, has the opportunity to explore and develop their strengths and is able to participate in new experiences. 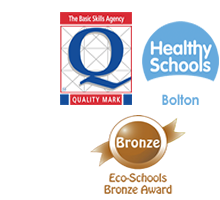 We aim to become an inspirational school, to produce good citizens for the future in an atmosphere that promotes confidence, high academic achievement, physical health and emotional well-being. We recognise that every child is precious and made in the image of God and our aim is that every member of the school community is valued through recognition of individual strengthen and talents. We are striving to make our school a place where staff, governors parents and parish work actively together to ensure children receive a rich, inspiring, dynamic and engaging Catholic education. Our school Motto “Learn to Love, Love to Learn’ was created in September 2016 after consultation with all stakeholders. It is known and embraced by all. Create a welcoming, exciting, happy and secure environment where the school reflects a living Catholic community in which staff and pupils feel a strong sense of belonging. Encourage every child to recognise their own value both as an individual and as part of our school community and to know that they are loved and cherished. Expect, encourage and demonstrate the highest standards of positive relationships so that children can live and work harmoniously together. Ensure that equality of opportunity is exercised through all aspects of our school life, regardless of gender, ethnicity, additional needs and beliefs. Promote qualities of love, forgiveness, respect and courage, in every child.